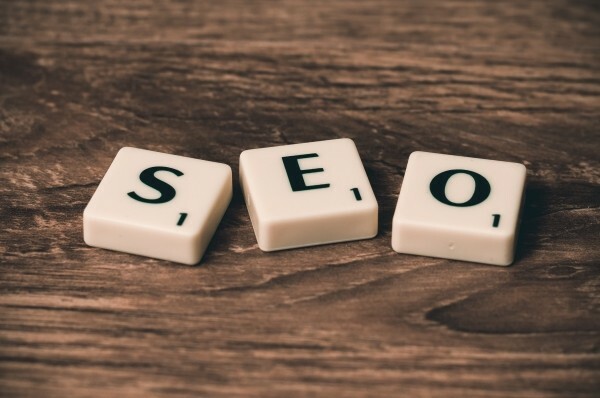 Most people understand that they want to increase their SEO and that it can be important to growing their site and business, yet few actually know the steps and tools to go about doing it. Sound familiar? If so, don’t worry. We are here to help. Our eDirectory software platform has many tools and design features that enhance SEO and make it friendly for search engines. And although we’ve made it easy for you to climb the search ranks without lifting a finger, there is always room for improvement. To help you out we put together some tips and ideas to fill your SEO toolkit with. Let’s dig in! Your first step in improving your SEO should be to look at what your website currently looks like to search engines. There are two main ways to get a view of your site and its contents from the perspective of a search engine. The first way is to view the source code of your site in the same manner that say a Googlebot would. The second way is to crawl you site with a spider tool in the same way a search engine would crawl your site. Here are some tools to get these two done. Now you can do this by simply choosing to “view source” to look at the HTML code from any browser but we suggest downloading a couple of plugins for the Firefox browser that will make this easier and provide much greater detail for optimizing your SEO. *To disable the CSS you will need to go to the “CSS” tab on the Web Developer Toolbar and click on the “Disable Styles” and “Disable All Styles” options. This will make sure that nothing obscures the order of your content. After configuring these settings go ahead and pull up your website and take a look around. This is how Googlebot views your site, very different isn’t it? Take note of your site’s contents and look to see if your menu items and links are there, if they are in plain text (as opposed to showing up as images which provides no anchor text for the Googlebot), if they are all clickable, and if there is any hidden text that you were previously unable to see. This view will give you a better understanding of where your keywords are on your site and which information is showing up at the top of your pages. Remember, your most important links and content should be at the top of the HTML. Listings are the fuel behind driving your directory into getting indexed and ranked. You should heavily, but honestly populate your directory, even before a set ‘launch’ date so you can gain traction on search engines. Because each page has its’ own mini ‘website’ with a unique, SEO-optimized URL, it’s important to have listings in your directory, so these URLs can be crawled and indexed by Google. It’s important to populate your directory with as many relevant listings as possible, so as to gain better search traffic through long tail search terms. Go ahead and crawl your site after you have installed a spider tool and make sure to save your results so you won’t have to re-run it every time. Now start looking through your results and take note of your page levels to make sure there aren’t any pages buried too deep within your site (note: anything at 4 levels or higher is considered too deep and won’t be found very easier). Take note of these pages and work on adding more back links to them throughout your site to increase their page levels and make them more easily accessible (for the Googlebot AND your visitors). This crawl should also help you identify any long page titles and descriptions you may on your site. Title tags and meta descriptions have recommended lengths (70 characters or less for titles and 156 or less for descriptions) so make sure you find any that are too long and work to shorten them as soon as you can. You will also be able to check for any crawling errors such as broken links and have the opportunity to fix or remove them from your site. Instead of trying to outbid and outrank the most competitive keywords you need to shift your focus to a wide variety of 10’s to 100’s of keywords and phrases that are less broad and more specific. An example of this would be to stay away from a keyword like clothing” and instead trying ones like “men’s fitted black dress pants”. There are some great keyword tools online to help with this process as well. Wordpot (www.wordpot.com) and Übersuggest (http://ubersuggest.org/) are two of the top free keyword tools and make it very easy to run a simple query and export a full list of suggested keywords based on real Google searches. Now pair this with Google Adwords Keyword Planner (https://adwords.google.com/home/tools/keyword-planner/?zd=1) and you can start to develop a list of specific and optimized keywords that fit your needs. To improve the rankings and popularity of your site it all starts with having quality content. Search engines are becoming more and more adept everyday at analyzing the relevance of text on a webpage and it is increasingly important to stay on topic and provide something of value to your readers. The difference that separates quality content is that it creates value for your visitors. The best way to accomplish this is to establish thought leadership in your niche and actively participate in the blogs, forums, and other social communities that are specific to your industry or segment. Your goal will be to provide a utility, emotional response or clear point of view that your visitors will find value in. Having a good title for your content is just as important as the quality of content that follows it. Titles are the gateways that bring people in to the content you’ve worked so hard on. This means you should be working just as hard on making sure your title is appealing and attention grabbing, it needs to provoke curiosity, excitement or emotion from your readers in order to bring them in. Similar to keywords the long-tail concept can be very important for you content. The more specific and in-depth you make the information you provide the more unique and valuable it becomes. These are just a few of the things to remember when creating your content but it provides a good peak into Google‘s mindset when it comes to determining quality. Quality wins out over quantity when it comes to successful backlink building for SEO. In the old days, you could build a thousand random links back to your website and see it shoot up to the top of the search ranks, but that is no longer the case. Today having fewer and higher quality links has been determined as the better practice for achieving SEO results. • Create a blog – this will give you an easy way to create content on a consistent basis that not only builds links internally (by linking out form your posts), but also gives you the ability to naturally attract links to your content. • Interlinking – Internal links are huge for link building because you can use the pages and posts you already have on your website. Go through all of your content that’s been previously published, and if you’ve got more detailed content written on subjects that you briefly go over in your posts, then link in that context where it makes sense. For future/new content, as you’re writing it, try and steer your way into certain topics that you’ve already written on so you can link to it & so it makes sense from a user’s perspective. Some additional examples are to guest blog/post to other popular sites that are in your relevant field, submit your site to other directories or listings online (sites like www.ezinearticles.com and www.squidoo.com) press release submissions (www.PRNewsWire.com), creating infographics to be shared online (www.coolinfographics.com), posting content and links to social media, offering free giveaways and much more. The gist of all of these is to get your links out in the open and in ways that they can catch fire and grow through exposure and sharing around the web. Speaking of catching fire on the web, lets talk about social media. In today’s SEO landscape, search and social go hand in hand. Social identifiers such as Facebook likes and Twitter shares carry heavy influence on search rankings and can bring dramatic increases in a short period of time. Because of this, search results are becoming more personalized to each individual. That is why it is important to keep social media in mind with any SEO efforts. Make sure to post and provide updates via your social media outlets when providing new content or making any new changes to your website. It is also a good idea to post and comment on industry/niche specific trends and topics along with sharing links to other popular sites to develop a mutually beneficial relationship. Everyone knows about using facebook and Twitter, but there are some popular yet under utilized social media channels that I’m sure you are already familiar with. LinkedIn – a LinkedIn profile, company page or group will land you on the first or second page of Google results pretty much automatically. It also positions you as a thought leader, and reposting your blog posts to your LinkedIn interest group can bring in a lot of quality click traffic. Pinterest – Pinterest is a catalyst for ecommerce in the social media landscape. Users find products and services and “pin” them, and that visual content pulls much quicker conversions. Google+ – With hangouts, local optimization and online communities, Google+ is poised to be a big player in the future of SEO. Schema guidelines are used to help search engines understand structured data that is on the web. Google, Yahoo and Bing have all worked together to develop Schema.org and make it easier to read a site’s data and index accordingly. That is why it is so important to follow the guidelines of Schema.org in your site’s coding and make sure everything is in a language that the search engines understand. Having this structured form of data helps the search engines to quickly and easily understand the contents of pages whether it be articles, events or addresses. Check out the Schema.org website for tips and additional information. Although important, it’s wise to keep in mind that SEO is not the only way to grow your business or increase your online traffic. Getting too caught up on improving SEO can be a painstaking process and take up a lot of your valuable time before seeing results. It’s important to remember to promote your business both online and offline and that implementing a well-rounded marketing plan that doesn’t focus too much on any one area will provide the most benefits in the long run. 8. How Can eDirectory Help My SEO? We know how important SEO is for any business or directory website. That is why our latest version of eDirectory software has so many SEO friendly features and tools to give our customers an edge online. mobile-optimized method of site design you can see how it can be a big advantage on the search results battlefield. Google not only recommends responsive design, but also prefers sites that have it when presenting search results (SEO gold!). And what about Schema? Our eDirectory software has this highly SEO friendly structure already built into the platform. Every site we power implements structured data markups, which allow Google and other search engines to display ratings, price ranges or dates for listings or events which means higher results for you. Every eDirectory site will also have an SEO Center in the Site Manager view that is accessible for any administrators. The SEO Center helps you edit and manage your search engine verification (meta tags), sitemap information, as well as content and page optimization. Have any questions about eDirectory and how it can improve your directory site? This entry was posted in White Paper and tagged SEO toolkit. Bookmark the permalink.